Now, on to some premium gadgets - and priced accordingly - even though this isn't the top tier category. Still, you need to have a good reason to go above €500 as these devices will fulfill almost everyone's needs with this year's cutting-edge features. 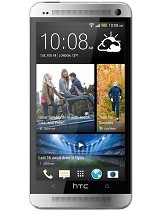 The HTC One is among the most beautiful Android phones at the moment (if not the most, depending on who you ask). It has a great 4.7" 1080p screen and a 4MP UltraPixel camera with optical image stabilization. Throw in the fast Snapdragon 600 chipset, stereo speakers on the front and a pure Android option like the Galaxy S4 and you have a strong contender. It will certainly draw people who dislike the plastic build of most of Samsung's phones along with audio buffs (the One has great audio hardware). The imminent release of the One's successor - the All New One, as HTC like to call it - should push the price of this device down even further. We wouldn't be surprised to see it in the lower bracket in our next shopping guide. Sony's Xperia Z1 Compact was launched as one of the first capable compact smartphones, and is truly an impressive feat of engineering as Sony managed to squeeze almost everything from the Xperia Z1 flagship into a much smaller body. You get a 4.3-inch 720p display, quad-core 2.2 GHz Snaprdragon 800 CPU with Adreno 330 GPU, 16GB of expandable storage alongside 2GB of RAM, and Sony has already updated it to the latest Android 4.4 KitKat build. 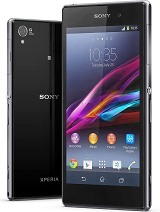 The Z1 Compact features the big by smartphone standards 1/2.3" 20.7MP sensor. That's point-and-shoot camera territory (including the Samsung Galaxy S4 zoom) but it fits in a slender 9.5mm body. It produces impressive shots (check out our 6-way camera shootout) and has some interesting proprietary camera features (how about streaming video to Facebook live?). As an added bonus, both it and the 2MP front-facer are capable of 1080p video at 30fps. Speak of the devil, the Xperia Z1 brings the exact same package as its Compact sibling, but has a big 5-inch display of 1080p resolution. Sony's most recent batch of impressive camera features debuted with the Xperia Z1's 20.7MP Exmor sensor, and the battery is more robust than what's found the Compact to accommodate the larger screen and resolution. Sony recently announced its Xperia Z2 flagship, and devices have just started becoming available to retailers. This bodes well for the likes of the Z1 and Z1 Compact, as both should continue to drop in price as the Z2 starts hitting retailers on a larger scale. We wouldn't recommend LG G2's 16GB storage as those HD videos (especially 1080p @ 60fps) and advanced 3D games will deplete it in no time, but you can now get a 32GB for a pretty great price. And if not for the video or games, the beautiful screen, powerful chipset and 13MP OIS camera will go to waste. And the LG G2 does have an amazing 5.2" screen with 1080p resolution that fits in the footprint of the Galaxy S4 and HTC One. It also packs a Snapdragon 800, a 13MP camera with optical image stabilization and a lasting 3,000mAh battery. The design might not be to everyone's favorite, and the rear buttons are especially unusual. It's also plastic, which isn't up to par with the HTC One or Xperia Z1. Make no mistake though, the LG G2 is one of the best Android smartphones available at the moment. The Nokia Lumia 1020 is the true successor of the Nokia 808 PureView and has the most amazing camera ever found on a mobile phone. Better yet, a price cut has brought it down to the sub-€500 price range. Its huge 1/1.5" sensor with a whopping 41MP resolution creates amazing shots and by supersampling to 5MP, sharing is easy. Nokia is offering a ton of proprietary camera features like lossless digital zoom, manual controls and the Refocus app. Oh, and the 1020 is the only phone with a powerful xenon flash. The audio recording for videos is top notch too. You do have to deal with the protruding camera hump on a phone that's not slender to begin with, and Windows Phone 8 could be a plus or a minus depending on your preferences. It has a decent 4.5" WXGA AMOLED screen and dual-core Krait chipset, but Androids are wholly unimpressed. The 2,000mAh sealed battery isn't great either, but you can get the grip accessory for an extra 1,020mAh and a more comfortable hold on the phone (albeit with added bulk). This one is all about the camera as it takes pictures like no other phone. Point-and-shoot cameras have a tough time competing, too. But if not for the camera, we can't justify double the price over the Lumia 925. 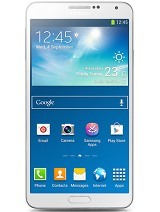 The Samsung Galaxy Note 3 is the third iteration of the highly successful phablet series with an S Pen stylus. 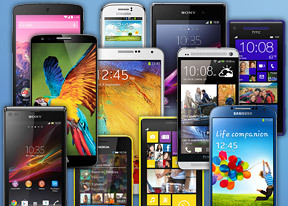 Now that it's firmly in the sub-€500 category, it's the phablet to get. It has a beautiful 5.7" 1080p Super AMOLED screen and is powered by a Snapdragon 800 chipset, both of which make split screen multitasking a real treat. The S Pen also enables other multitasking options - it makes note taking and searching that much easier, and packs even more proprietary features than the Galaxy S4. The 13MP camera did okay for stills and is absolutely amazing for video - it can record stunning 2160p video and excellent 1080p @ 60fps clips (better than the LG G2). For video, it has digital zoom that rivals the Lumia 1020s optical zoom. The Galaxy Note 3 breaks away from Samsung's traditional plastic design - it's still plastic, but the faux-leather back is very convincing and really classes up the place. By the way, the device's size hasn't changed since the Note 2, despite the increase in screen diagonal. 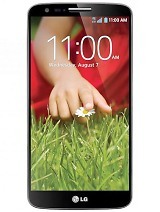 The Samsung Galaxy Note 3 is targeted at business people (who will appreciate KNOX enterprise security) and power users who will love the huge mountain of features. If we had to go over them all, we'd have to copy and paste the review here. Just make sure you're getting the N9005 version with Snapdragon 800 CPU - the N9000 with Exynos 5 lacks LTE and 2160p video capture.